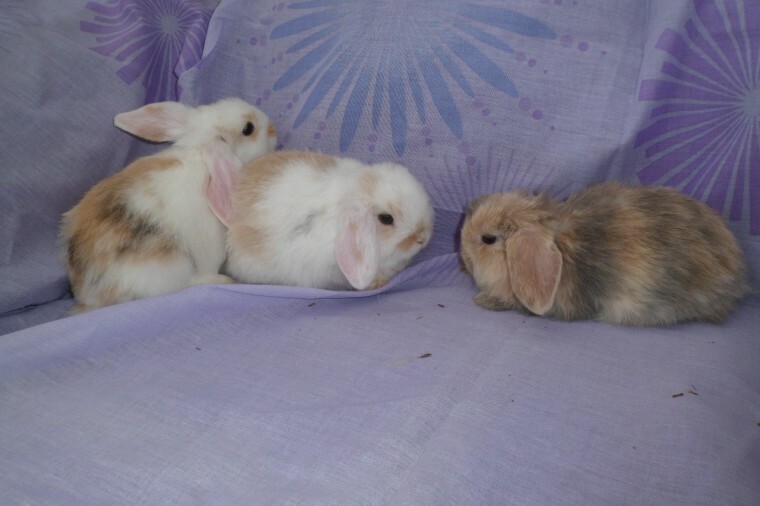 Pretty baby mini lop rabbits. ready to leave march 29th when 8 weeks old. 1 cream/ grey harlequin ( doe) 2 beige butterfly marked 1 ( buck ) 1 (doe). will leave with supply of change over food. please phone for more details.